The 2019 course will feature Prof Heidi Connolly and Prof Fletcher Miller from the Division of Cardiovascular Diseases, Mayo Clinic, Rochester along with high profile UK speakers including Dr James Newton from the John Radcliffe, Oxford. The programme changes every year - we use a clinical case based format where possible with a large number of video demonstrations and interactive workshop sessions. We have an interactive audience voting system which is hugely popular with our delegates. 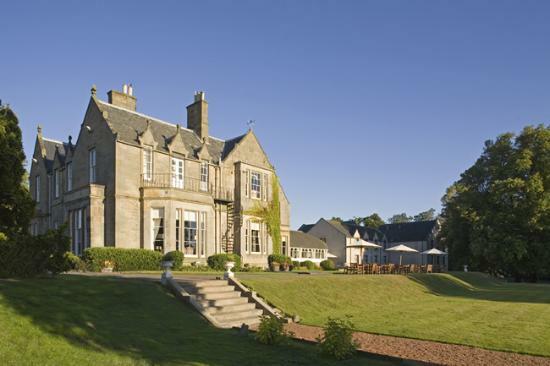 The meeting is held in the excellent Norton House Hotel which is only 5 minutes away from Edinburgh Airport and is easily accessible by road and rail links. Free car parking is provided and a discounted accomodation code is available if rooms are booked beforehand. Advanced Echo is aimed at cardiologists, cardiac physiologists and intensive care practitioners with an interest in non-invasive cardiac assessment. The course director is Stephen Glen, Consultant Cardiologist and the administrator is Joanne Cusack, Head of Cardiac Investigations at Forth Valley Royal Hospital. The federation of the Royal College of Physicians of the United Kingdom approved this event for 12 category 1 (external) CPD credits in 2018 and the 2019 allocation will be confirmed shortly. 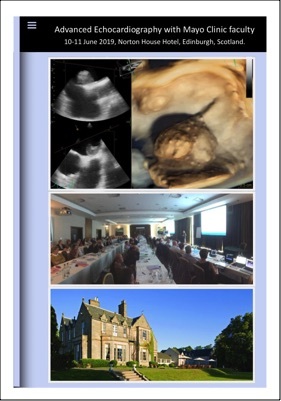 The British Society of Echocardiography has confirmed six accreditation points for the 2019 course. The course cost is £295 including dinner. Several other hotel options are available nearby with a range of accomodation choices including a Travelodge and Premier Inn within 5 minutes of Norton House. If you're looking for a more basic course, please try here.